How do you want to spend your vacation? While at Port Mouton Bay Cottages, you are conveniently situated to enjoy your vacation, your way. Pristine, uncrowded white sand beaches just 5 minutes away. If surfing, kayaking, or scuba diving appeal to you, Port Mouton Bay is at the centre of it. Shopping, museums, theatre, dining are all easy to find. Hiking, nature walks, and parks abound in the area - Kejimkujik Seaside Adjunct, Port L'Hebert Pocket Wilderness, Port Joli Bird Sanctuary to name a few. Birdwatchers, seal watchers, sunset watchers - welcome. Golf, tennis, bicycling, fishing...what's your pleasure? 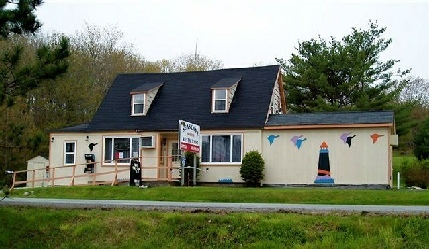 Your hosts, Ron and Barb Campbell, also operate the Seascape Restaurant just across the street from your cottage. Join them for some great food and wonderful maritime hospitality. A convenience store and liquor store are on site as well.